All of us have stood in our kitchen, struggling to figure out what to prepare for a meal. If you’re scouting the internet for new, creative recipes, consider trying some ketogenic diet foods. At some point or another in our lives, we have all considered a diet. Whether because we want to lose weight, we want to get slimmer, we want to develop more muscle or simply because we want to try changing the way we eat, a diet is a possibility that has likely crossed your mind —and probably even your routine— more than once. However, before even getting started we’d like to remind you that a diet is a serious decision, one that you shouldn’t make on your own without consulting your doctor or a professional beforehand. We would also like to remind you that not all diets work for everyone: each individual’s body, digestive system, and immune system varies drastically and perhaps that diet that did your cousin wonders could end up being harmful to you. That doesn’t mean that anything is wrong with you, not at all. It just means that your body is different and will react differently to varied types of foods and eating schedules. Before doing a diet, always consult a specialist and, while practicing a diet, remember to always listen to your body and make sure that it’s feeling okay with your new eating routine. Ketogenic diet foods, as their name indicates, are foods that are typically consumed in a ketogenic diet. They will boost the effects this diet seeks to pursue in the human body. This leads us to another, also a fundamental question. 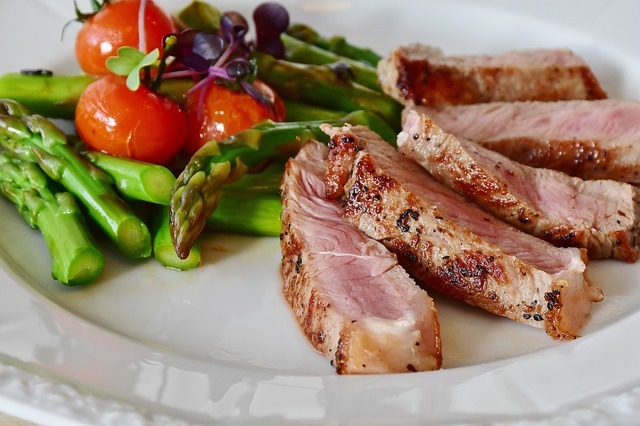 What is a ketogenic diet? A keto diet is a low carb diet in which the body relies on the production of ketones in the liver to be used as energy. It is known by many different names, such as ketogenic diet, keto diet, low-carb diet, low-carb high-fat (LCHF) diet. How does this work? Well, usually when you eat something high in carbs your body will naturally produce glucose and insulin as a result. Glucose is the molecule your body finds the easiest to convert into energy and use for various purposes. Whenever your body has access to glucose, it will choose it over any other energy source. Insulin, on the other hand, is produced with the function of processing the glucose in your bloodstream and taking it all over your body. When your body is using glucose as an energy source, fats are not needed and therefore stored. A keto diet seeks to avoid this and instead induce the body into a state known as ketosis by lowering the intake of carbs drastically. Now, what is ketosis? Ketosis is a natural process our bodies initiate when food intake is low in order to help us survive. During this state, the liver breaks down fats and produces ketones. The objective a properly managed keto diet has is to force your body into this metabolic state. This is accomplished by starvation of carbohydrates, not starvation of calories. Ketogenic diet enthusiasts argue that optimal ketone levels offer various health, weight loss, physical and mental benefits. However, be advised that keto diet is very delicate and potentially harmful if managed wrongly or if your body doesn’t respond well to it. Optimal ketone levels are difficult to reach and maintain and require a lot of effort and careful action. And even the initial stage of a ketogenic diet is known as “keto flu”, a period which even popular keto beginner guides state is common for new ketoers to experience. It is a period in which your body will transition into survival mode and therefore bring some consequences such as nausea, fatigue, headaches, cramps or other mild sickness related themes. All we wish to make is clear is that a ketogenic diet is a serious decision and a delicate process that should not be engaged haphazardly. However, this doesn’t mean you can’t add some refreshing, low carb ketogenic diet foods into your repertoire. 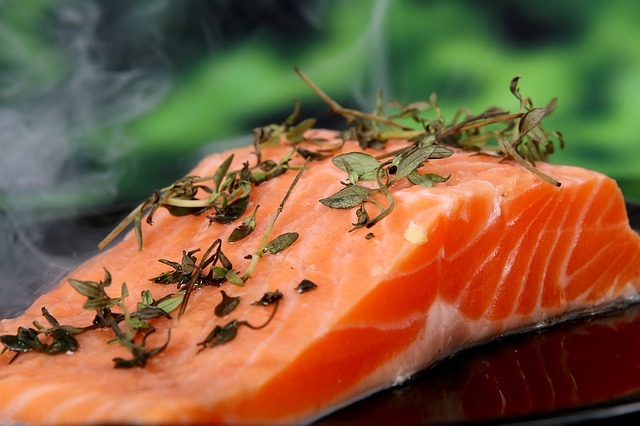 Ketogenic diet foods all follow these guidelines: they’re high in fat, moderate in protein and quite low in carbs. So, your plate should be formed by about 70% of fats, 25% of protein and only 5% of carbs. Meats: the most recommended are beef, lamb, poultry, fish and eggs. You have plenty of protein to choose from! Leafy greens: foods like spinach and kale will be your friends! They also have extra benefits like helping you lower cholesterol and providing you with the elusive vitamin K.
Above ground vegetables: this group consists of broccoli, cauliflower, and the sorts. High-fat dairy: in keto hard cheeses. high fat cream and butter are all viable options to choose from! Nuts and seeds: stock up on macadamias, walnuts, sunflower seeds and the like. Avocado and berries: the key is to opt for low glycemic impact berries, like raspberries and blackberries. Low carb sweeteners: instead of sugar, opt for its low carb counterparts, like stevia, erythritol and monk fruit. Other fats: mix it up with unusual choices like coconut oil, high-fat salad dressings or saturated fats. Take this list and use it as a kind of roulette. You can start with these ingredients and organize them in a keto friendly way: 70% fats, 25% protein and only 5% carbohydrates. Organize yourself and invent new, creative recipes to freshen up your mealtimes! The idea is to introduce you to the world of ketogenic diet foods and offer you the chance to see if this kind of meals are an option you like and that suits your body well. Please remember to check with a doctor before deciding to officially start a ketogenic diet! 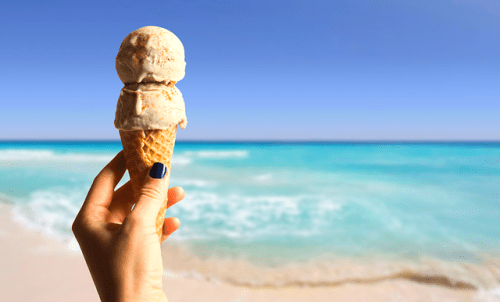 Yes, There’s Even Ice Cream In Ketogenic Diet Foods! Strawberry Rhubarb Swirl Ice Cream: A keto friendly dessert. Combine the sweetener (we recommend a blend of granulated stevia and erythritol) and xanthan in a medium saucepan. Whisk in the water and lemon juice gradually until they combine satisfactorily. Add the strawberries and the rhubarb. Bring the saucepan to medium heat and stir it frequently. Heat the mixture for about 4 to 6 minutes. you’ll know it’s time when the rhubarb softens. Then, remove it from the heat. Let the sauce cool to room temperature. Once it’s cool, you can add it to the ice cream. Combine the heavy whipping cream, vanilla and the sweetener in a large bowl. Whip the mixture using an electric mixer until stiff peaks form on its surface. Add the almond milk gradually and in small doses, blending between each addition. Beat the mixture until it slightly re-thickens. Transfer the mixture into an ice cream machine and freeze accordingly to the manufacturer’s instructions. When the mixture reaches the creamy texture of ice cream, store it in a freezer-safe container. Add the strawberry rhubarb sauce and swirl it together using a spoon. Cool in freezer for 2 to 3 hours before serving, stirring at 30 minute increments. This will make for a total of 6 servings, each of which will come out to be 285 calories, 29.1g fats, 2.64g protein and 3.62 net carbohydrates. Who knew ice cream could be in a group of ketogenic diet foods! I really liked your post. Thank you for sharing an awesome blog. Most of us tried different recipes taken from the internet but if we want to try new recipes along with weight loss then we must try some keto genic recipes. This is really a good way of weight loss.